Liverpool and Tottenham interested in Chelsea's left back? 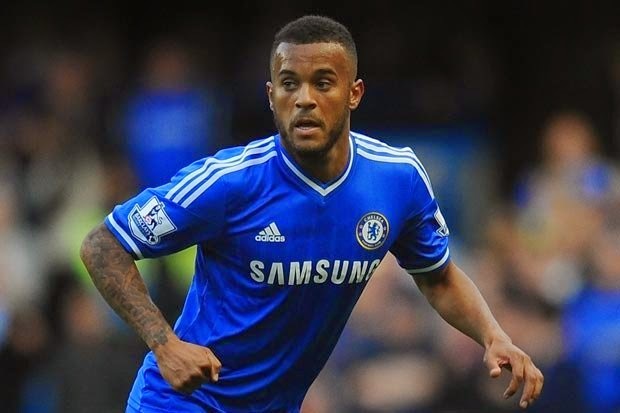 As a Chelsea fan, you have to wonder what the future holds for Ryan Bertrand after being sent out on loan to Aston Villa for the second part of last season. According to the Press, both Liverpool and Tottenham are prepared to pay as much as £6-£8m to sign him. As we have seen last season, Cesar Azpilicueta asked to fill in at left back for a game at Arsenal in the League Cup, impressed the boss so much that he made the position his own. Both Ashley Cole and Bertrand remained overlooked as the Spaniard cemented his place in the side and deservedly so. Now, Ashley Cole is leaving the club after his contract has expired and Chelsea are looking to bring Atletico Madrid's Brazilian left back Filipe Luis for approx £19.5m to active this release fee, giving an indication that the manager does not feel that Ryan Bertrand's future lies at Stamford Bridge. Jose Mourinho has often said that he does not see major changes needed at Chelsea this summer to put together a squad capable of challenging realistically for the title but I am not so sure. We had plenty of players out on loan and players that never received much of a look in during the course of the season and I expect Chelsea to make as many as five or six new signings with possibly more leaving including Bertrand. So what of the reported interest from Liverpool and Tottenham? It remains to be seen if the link to Liverpool is true but at Tottenham questions remain over Benoit Assou Ekoto and Danny Rose so the new manager Mauricio Pochettino could come in with a concrete offer to Chelsea which I believe they would be inclined to accept. I have said it on here before time and time again. Ryan Bertrand for me just doesn't seem to have made that step forward in his development that the club had expected. Having been sent out on loan numerous times it had seemed under Robbie Di Matteo and Rafa Benitez after him, that he finally had settled down and into life at Chelsea. All that came crashing down with him featuring very little under Mourinho so expect the left back to leave Chelsea this summer. What do you think of Bertrand? Do you think my judgement of him is right or do you beg to differ and believe that with Cole gone, we should give him a real chance next season?